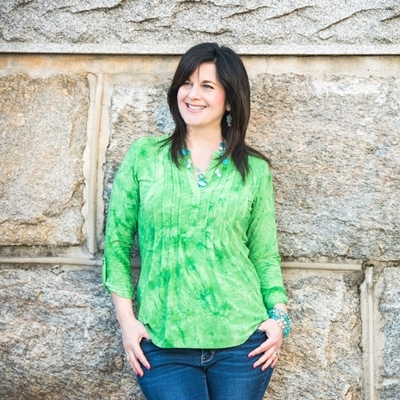 Comedian Rhonda Corey truly embodies the New England spirit. It’s no wonder that her authenticity with a twist of lovable sass has resonated with audiences from Rhode Island to California! Rhonda has always loved to bring joy to people through laughter. This passion has continued throughout her life and now more than ever, she sees that there is a genuine need for joy and laughter. She wants to use comedy to provide an escape and a much-needed laugh for those dealing with loss or burdens in their lives. Rhonda redefines the comedy event experience by creating an environment where adults in any stage of life can laugh together. She is the creator of Out of the Blue Comedy, a multi-performer show that is 100% clean, and the co-founder/comedic half of Take Two Ministries. When she’s not on stage, you can find her baking treats (or eating what she bakes), shopping for bargains, or starting another project that has yet to be finished. She credits her husband John, son Alex, dog Chewy and kitty Fiona for providing endless material. Rhonda’s winning combination of wit and charm will leave you refreshed and entertained. Book Rhonda Corey now to add life and laughter to your next event.